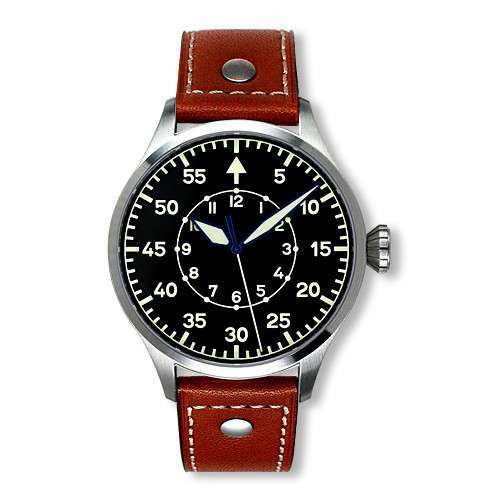 B-Uhr pilot’s watches are all based on a specification by the RLM (Reichsluftfahrtministerium), the Ministry of Aviation in Nazi Germany from 1933 to 1945. 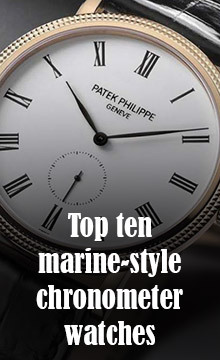 For its aircraft navigators, it specified watches whose characteristics were: 55mm diameter, very large for good legibility; movement with a Breguet-type balance spring; chronometer-tested movement; protection against magnetic fields provided by a soft iron inner core; stop seconds function when the crown was pulled out to set the time; a large crown that could be operated while wearing gloves; and a long, double-riveted leather strap so that the watch could be worn over a flight jacket. 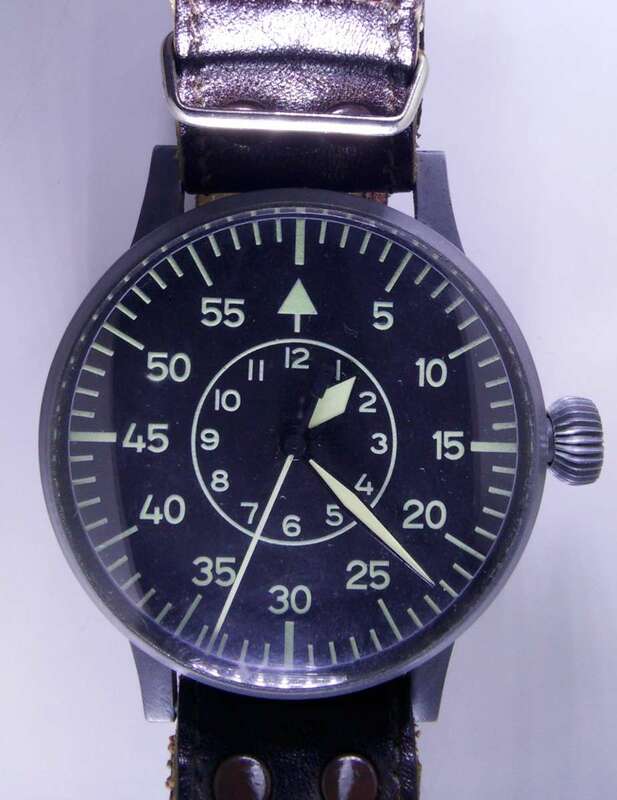 The watches also had blued steel sword-shaped hands covered in luminous paint, a triangle at the 12 o’clock position to rapidly determine orientation, and the code FL23883 engraved on the side, in which FL stood for Flieger, and 23 for its identification as a navigation watch. Further information (type, production number, movement, order number, manufacturer) was engraved inside the snap-on caseback. There was no indication of the manufacturer on the dial. 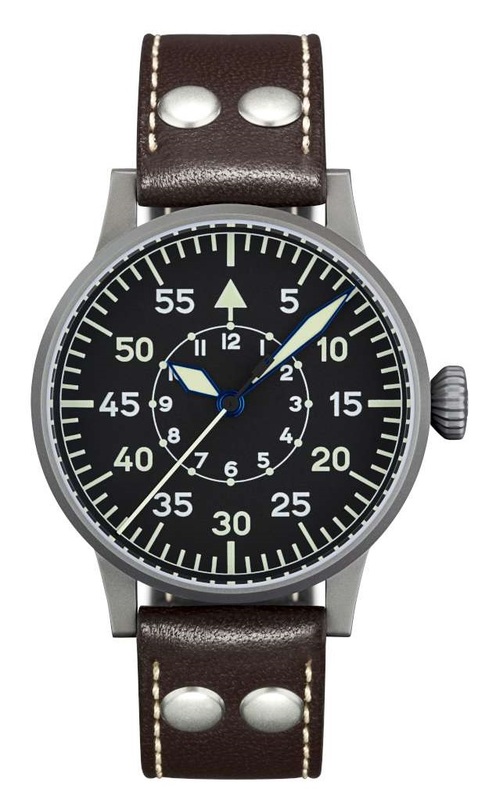 The difference between Type A and Type B pilot’s watches derives from the two dial layouts commissioned by the Luftwaffe. Type A (Baumuster A) was made from 1940 to January 1941, and Type B (Baumuster B) from January 1941 until the end of the war. Type A was the simplest type, with numerals at the edge of the dial and the orientation triangle with two dots at the 12 o’clock position. Type B was introduced probably to reduce the possibility of reading the wrong hour. It has a much shorter hour hand with its own scale, and a long minutes hand. The triangle at 12 o’clock doesn’t have the two dots of Type A, but instead it becomes an arrow by means of a short line below. B-Uhr watches (an abbreviation for Beobachtungsuhr, observer’s watch) were made by four German companies, A. Lange & Söhne, Laco, Stowa and Wempe, and one Swiss company, IWC Schaffhausen. Today, several brands make watches that reflect the Baumuster B layout. Here is a selection, in order of closeness to the original. You can’t get much more authentic than this. Laco’s replica is a modern version of their own original Type B, 55 mm in diameter, 21 mm thick, with a hand-wound ETA 6497.1 movement that runs at 18,000 vibrations per hour, 2.5 Hertz, 46 hours power reserve. The calibre was designed for pocket watches with small seconds at 6 o’clock: for this watch, Laco have modified it to provide central seconds with stop seconds function, as well as a swan-neck regulator on the balance. The case is in steel with a dark finish, engraved FL23883 on the caseband. Dial and hands are exactly as the original, and likewise the strap is the same riveted closed-loop design as the 1940s watch. Even the presentation box reproduces Laco’s original shipping boxes. The watch is article number 861930, price €2,998. Laco make other versions of the Type B, with more wearable sizes and with automatic movements, at prices starting from €298. More photos here. Read more on the Laco website. Stowa’s version of the Type B is very close to the 1940s originals, with all the dial characteristics including no brand name, and a case reduced to a 40 mm size, suitable for just about all wrist sizes. The case is 10.2 mm thick, water resistance 5 atm/50 metres. 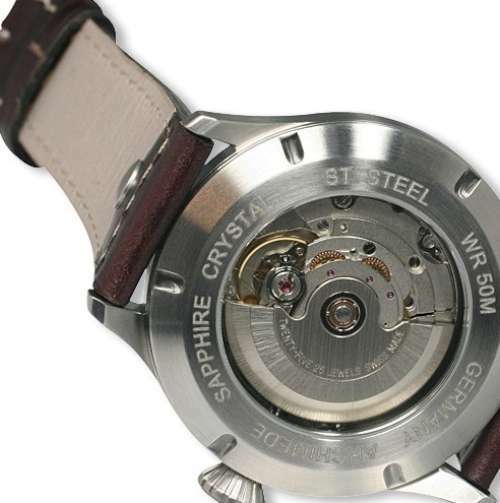 Inside is the automatic ETA 2824-2, top version with blued screws, visible through the sapphire caseback. The data that was stamped onto the inside of the caseback in the original 1940s watches is transferred to the oscillating weight in this piece. €930, available from the Stowa website. Archimede’s version of the Type B has a 42 mm case, fairly slim at 9.9 mm, with a leather strap in three different colour options, with a single rivet. 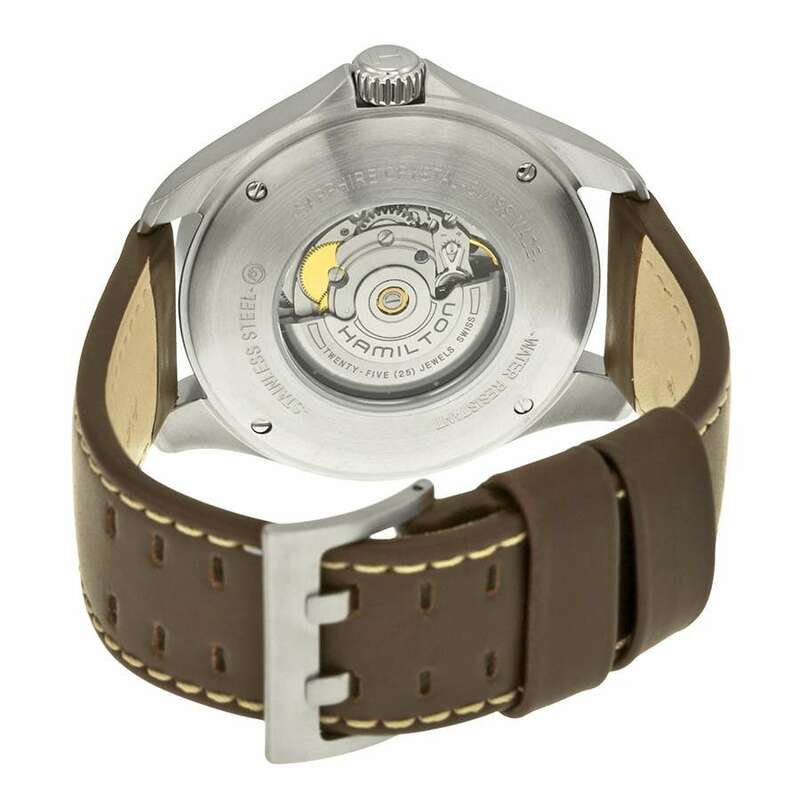 The display caseback reveals the ETA 2824-2 automatic movement. The dial design is very close to the 1940s Type B, with no brand name and no date display. Optional extras include titanium or black PVD-steel case, solid caseback, and a version for left-handers with crown on the left. Reference UA7929-A9.2, price €620. Available from the Archimede website. Steinhart’s version of the Type B B-Uhr is 47 mm in diameter (smaller sizes are also available), 14.2 mm thick, in brushed-finish stainless steel, with a screwed steel caseback, water resistance 5 atm/50 metres. 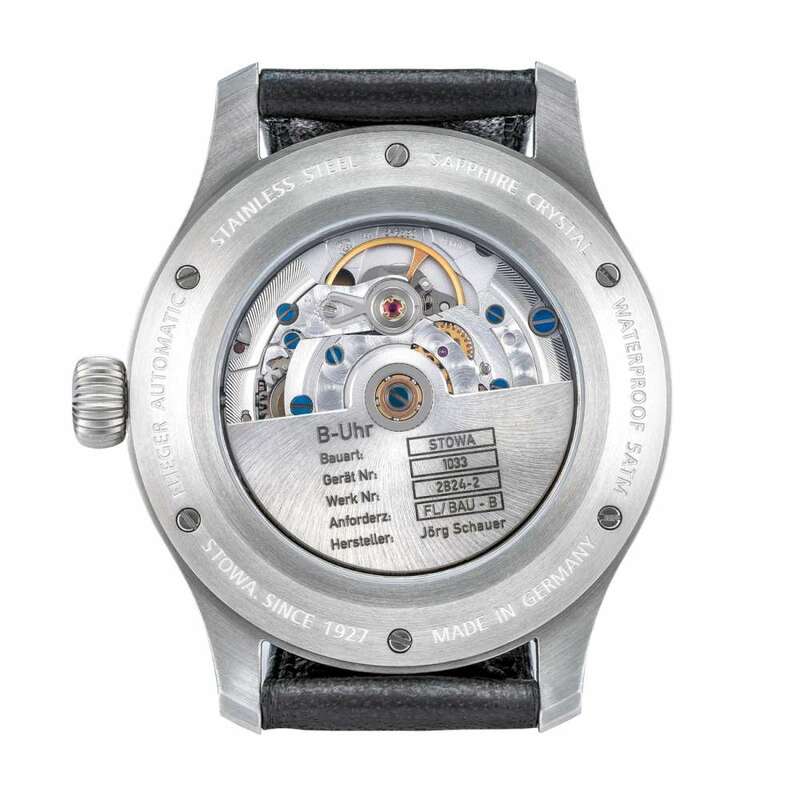 It is powered by the ETA 2824-2 automatic movement, with stop second function. Price €400, available from the Steinhart website. 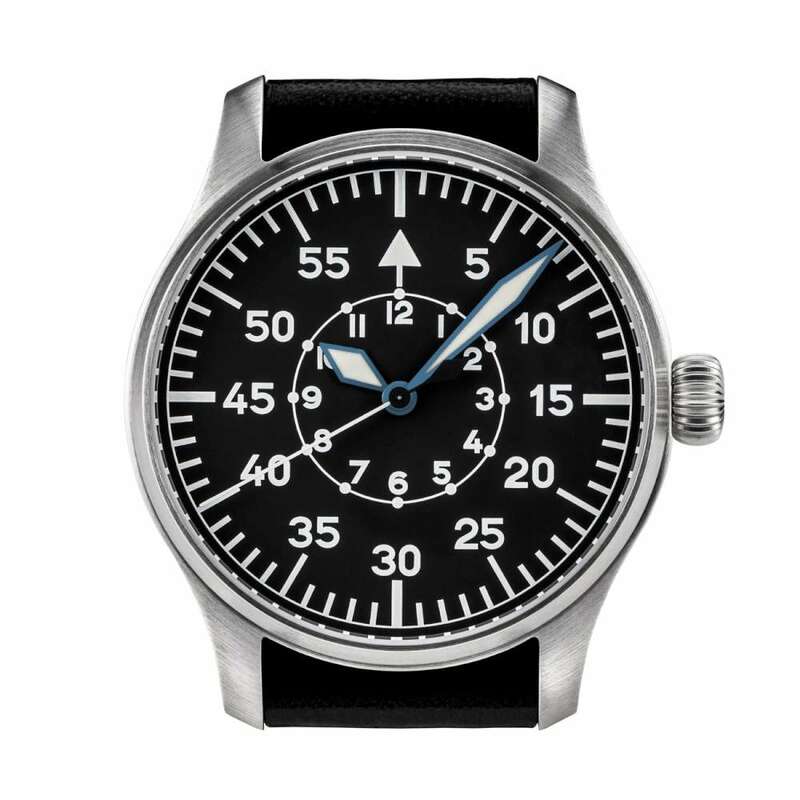 Sinn’s B-Uhr has a lot of the 1940s B-Uhr’s characteristics, such as the black dial with separate hour and minutes scales, but the watch also has a lot of specific Sinn features, and some variations with respect to the original Type B, such as a date window, crown with crown protector, layout of the scales and so forth. 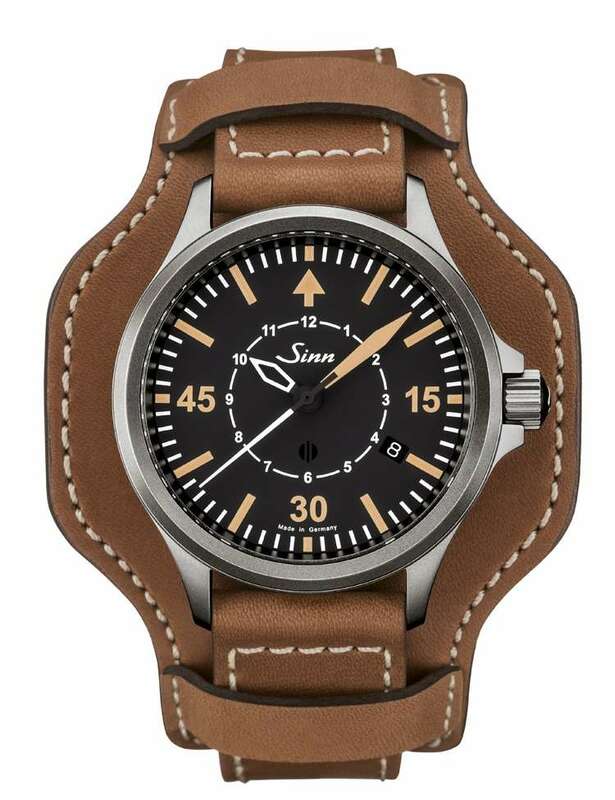 The case is 40 mm in diameter and 11 mm thick, with Sinn’s proprietary Tegiment-hardened scratch-resistant steel and a solid nickel-free steel caseback. Water resistance is 20 bar, 200 metres, with screw-down crown. The watch is resistant to magnetic fields of 80,000 A/m, about 1,000 gauss. All three hands, and the numbers and indices, are coated with luminescent paint, but with differentiated colour, with the outer scale and minutes hand coated in beige paint. 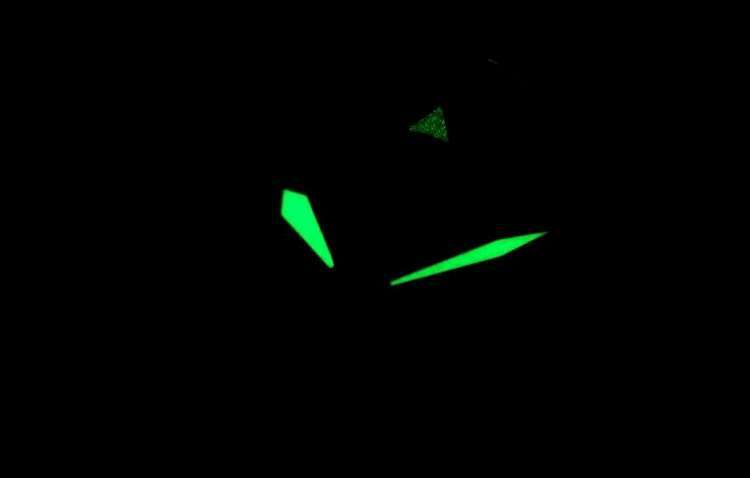 The inner scale is not luminescent. 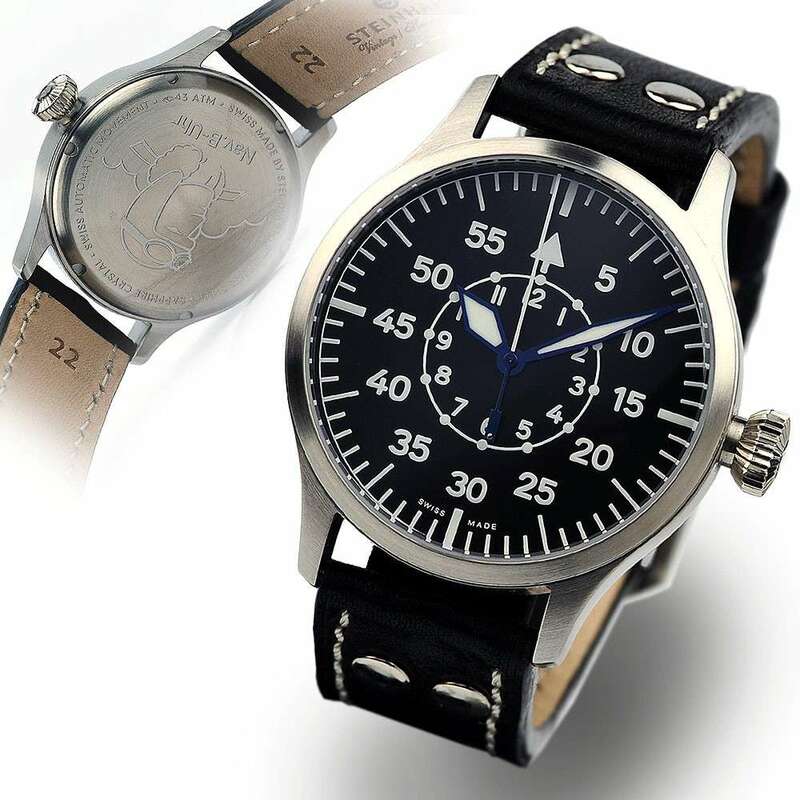 The watch is a limited edition of 856 watches, price €1,590. More information on the Sinn website. 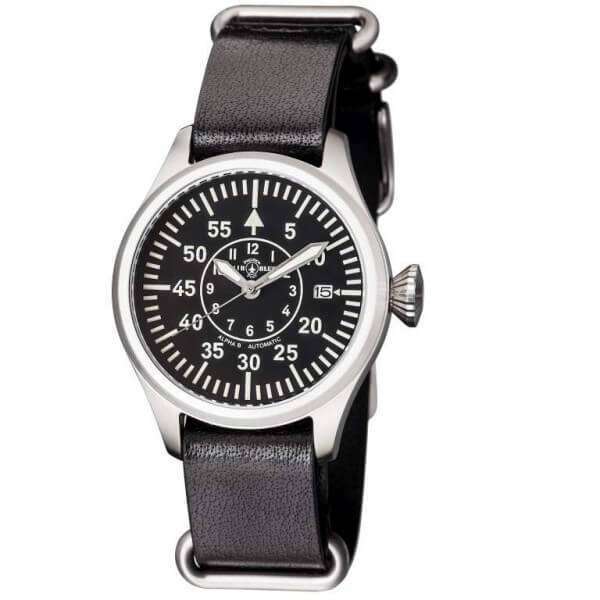 This watch is made in 41, 44 or 47mm versions, with stainless steel case with bright steel or black PVD finish. The dial is close to the 1940s design except for the addition of a date window at 3 o’clock, and the Air Blue logo. The display caseback reveals the NH35A automatic movement made by Seiko. It runs at 21,600 vibrations per hour (3 Hertz), with 41 hours power reserve, and has the stop-second function. It can be manually wound if necessary, and its mainspring is built so that it cannot be damaged by overwinding. Movement finish is basic, purely industrial. 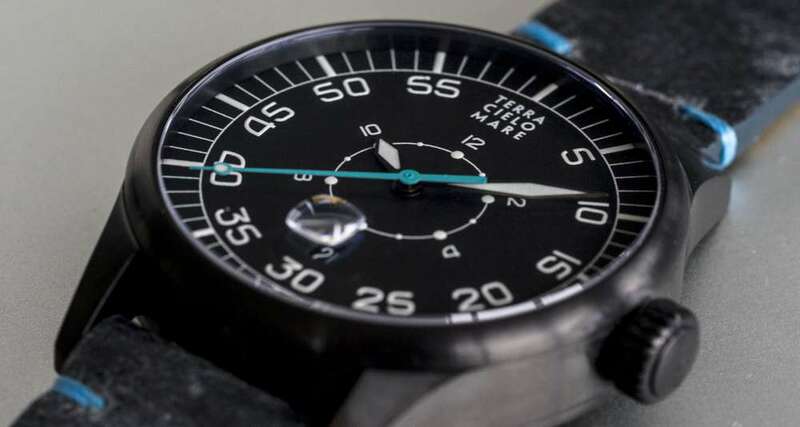 The dial indications and hands are coated with white SuperLuminova that glows blueish in the dark. Water resistance is 10 bar, 100 metres, in part by virtue of the screw-in crown. The watch is currently available from Air Blue at the holiday sale price of $149 instead of $399. More at the Air Blue website. This is a replica of a 1926 pilot’s watch, which would seem to show that some elements of the Type B layout, such as the triangle at 12 o’clock and the double scale, were already present at an earlier date. In this piece, the inner scale reminds the user of the 24-hour system. Like the 1920s original, the watch is based on a hand-wound pocket watch movement with small seconds at 6 o’clock, and has a hinged case that can be opened with the pusher on the caseband. The case is 50 mm in diameter, with a 5 atm/50 metre water resistance. 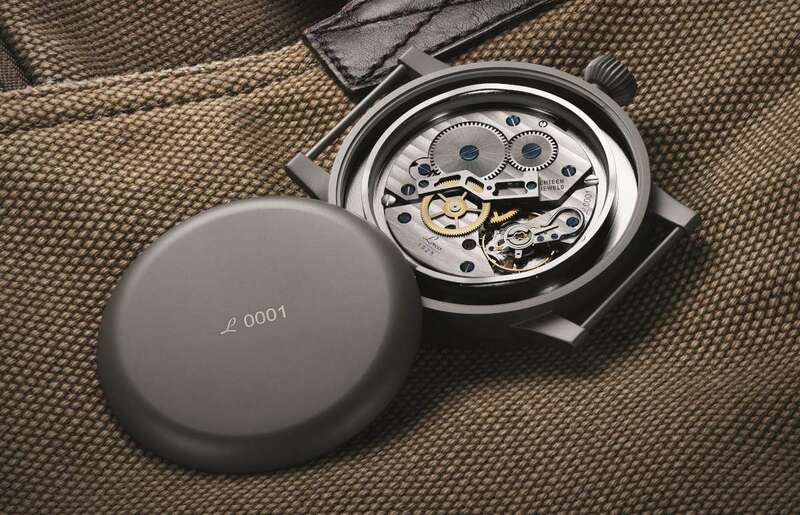 The movement can be seen once the case has been opened, and it is protected by a second sapphire crystal caseback. 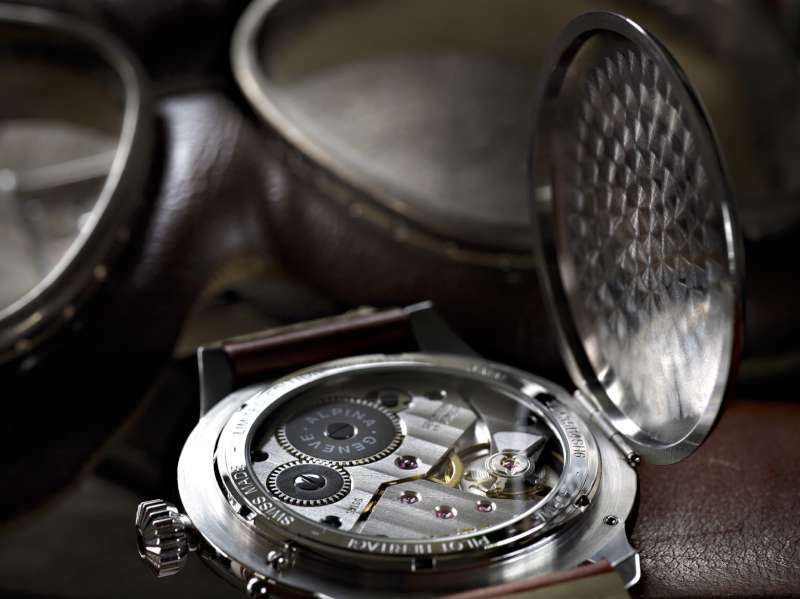 It is the AL-435, an in-house variant of the Unitas hand-wound movement, running at 18,000 vibrations per hour (2.5 Hertz), power reserve 46 hours. The watch is reference number AL-435LB4SH6, a limited edition of 1,883 pieces. The price is very attractive, 1,690 Swiss francs (about €1,570) considering the prestige of the watch and the complexity of the case. 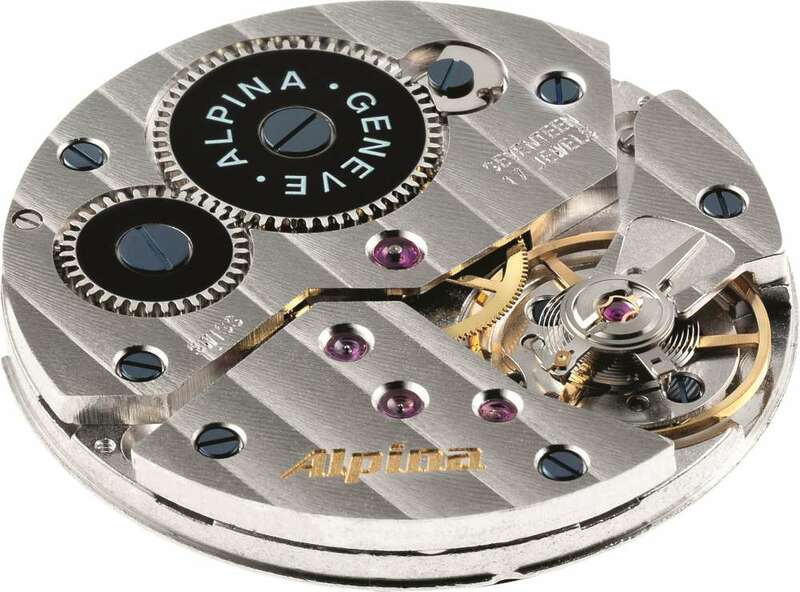 More info from the Alpina website. A distant relative of the Type B B-Uhr watch, with separate hour and minute scales, and SuperLuminova on just the hands and the hour markers. The hour hand has a skeleton tip that neatly frames the hour numerals. 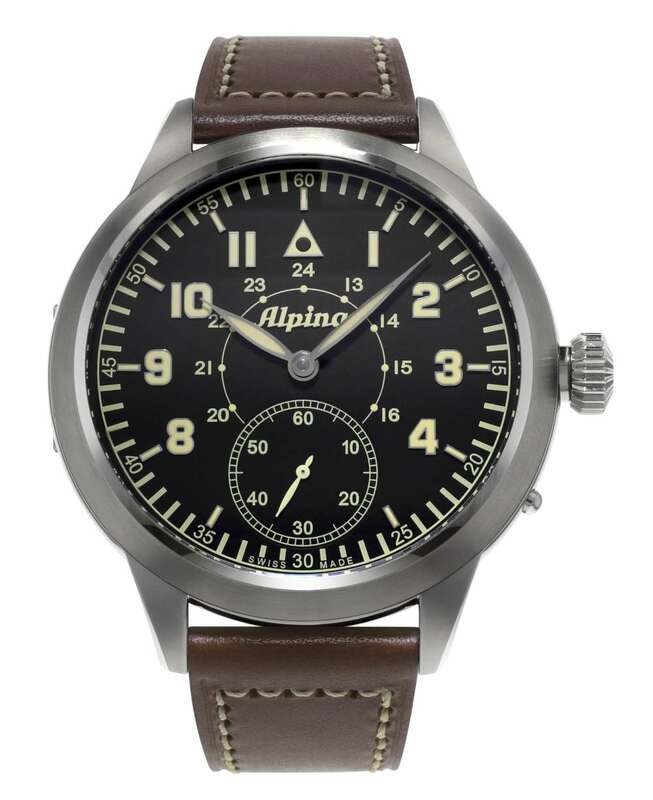 It’s large at 46 mm, with a screw-down crown and a water resistance of 20 bar, 200 metres. Automatic movement, ETA 2836-2. 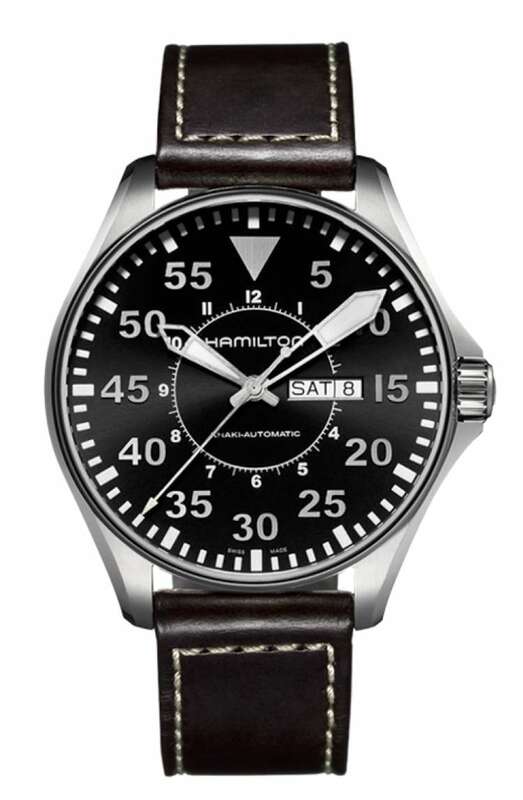 The Hamilton Khaki Aviation Pilot Auto is reference H64715535, price €795. The IWC Pilot’s Watch Mark XVIII Top Gun Miramar (reference IW324702) is a modern interpretation of the B-Uhr Type B, with American military colours and a strap in embossed green calfskin. 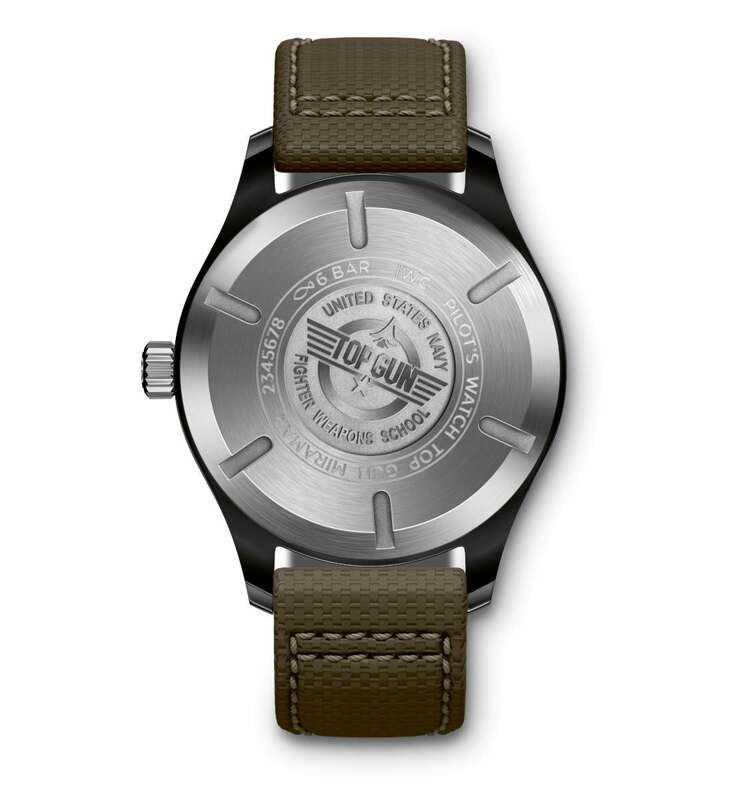 This reference is a new addition to the Top Gun Miramar collection, with a self-winding movement (IWC 30110, based on the ETA 2892-A2) providing 42 hours power reserve. The watch has a ceramic case 41 mm in diameter, 11 mm thick, with a soft-iron inner case for protection against magnetic fields. It is water-resistant to 6 bar, 60 metres. 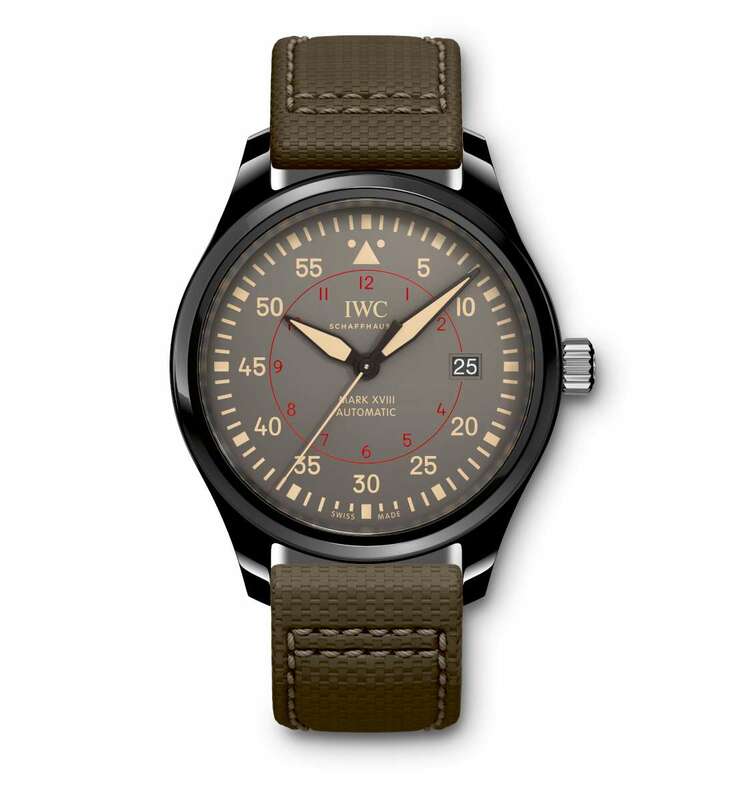 IWC Pilot’s Watch Mark XVIII Top Gun Miramar, reference IW324702, is one of the brand’s entry-level watches at a price of €6,150. Read more here, or visit the IWC website. 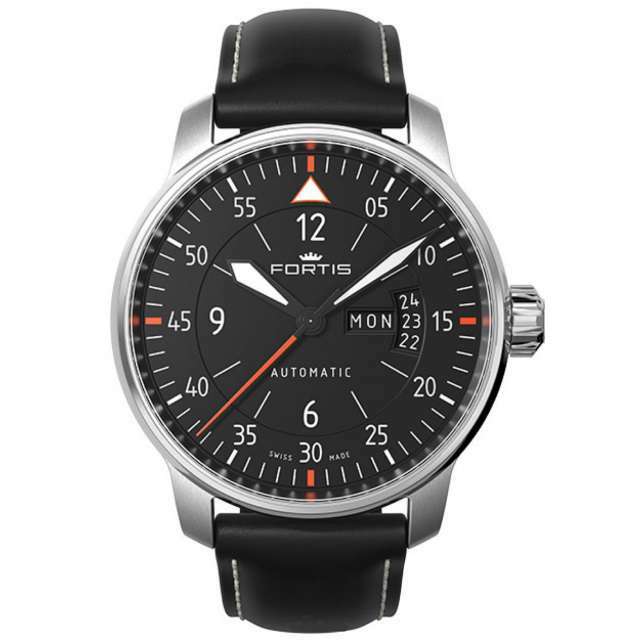 This elegant watch by Fortis shows the influence of the Type B, with two separate scales for hours and minutes, but it has been personalized a great deal, with an altimeter-type vertical date window with day (available in English or German), a white triangle at 12 o’clock, and orange accents on the dial. 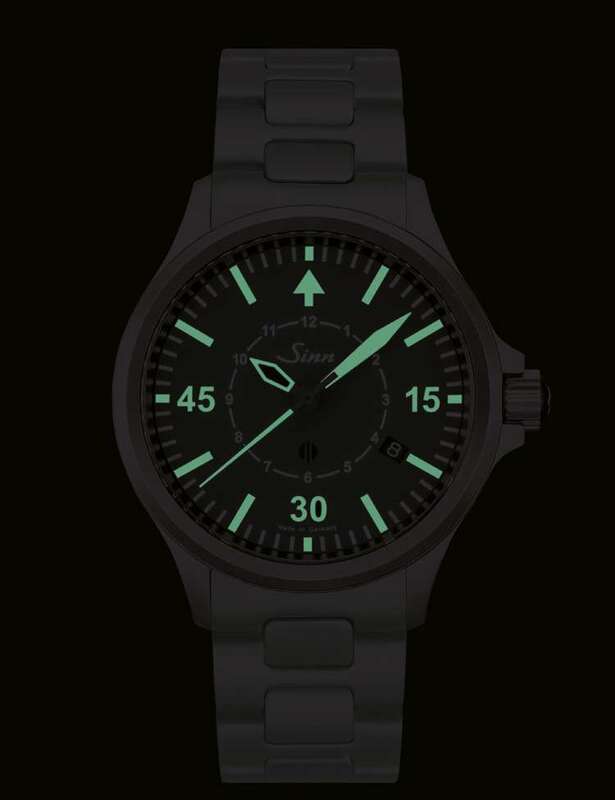 The SuperLuminova is limited to the top triangle and the hour and minute hands. The 41mm steel case, water resistance 100 metres, has differentiated brushed and polished finish, and a narrow bezel that increases the impression of size. The watch has a Swiss automatic movement, ETA 2836-2, visible through the sapphire caseback – it is personalized with a Fortis rotor. Reference number 704.21.19, price about €1,510. Further information from the Fortis website. 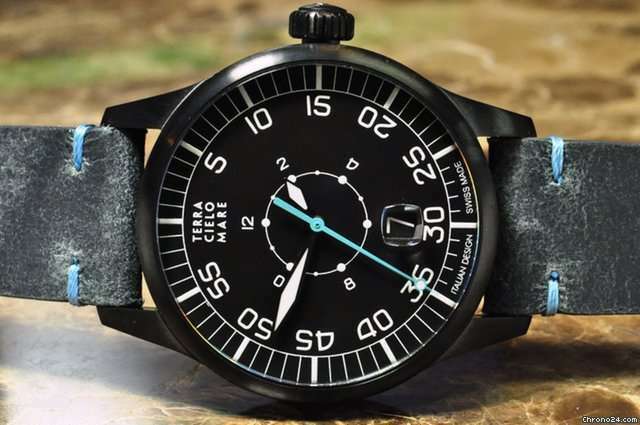 Terra Cielo Mare have reshuffled and restyled the Baumuster B dial layout, with their logo instead of the 12 o’clock triangle, a small hour ring, date window with magnifying lens, and a large railway track minutes scale. 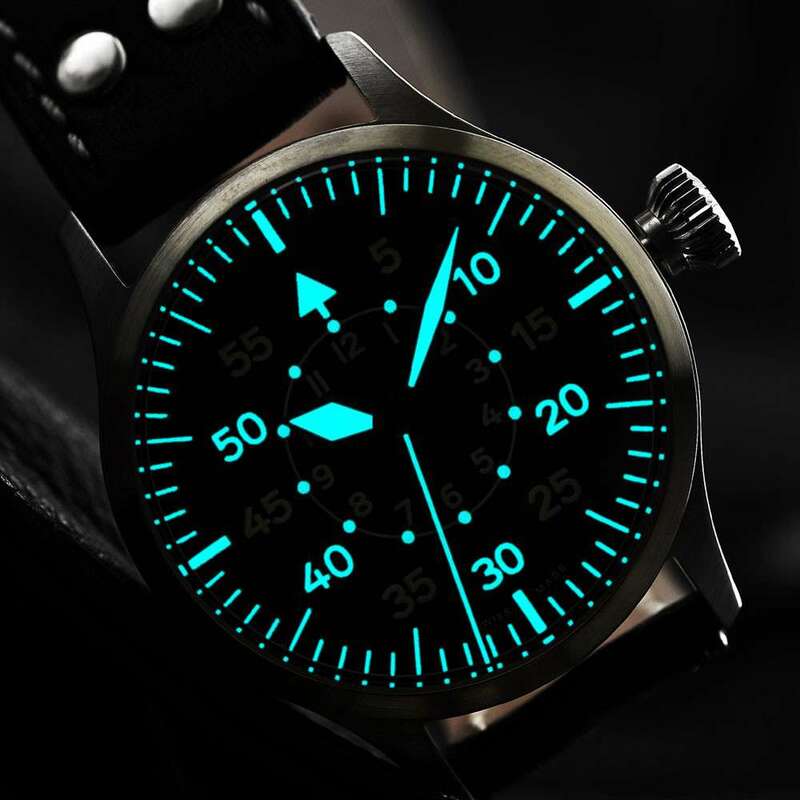 The highlight colour is blue, contrasting with the black dial and the black PVD-coated case. 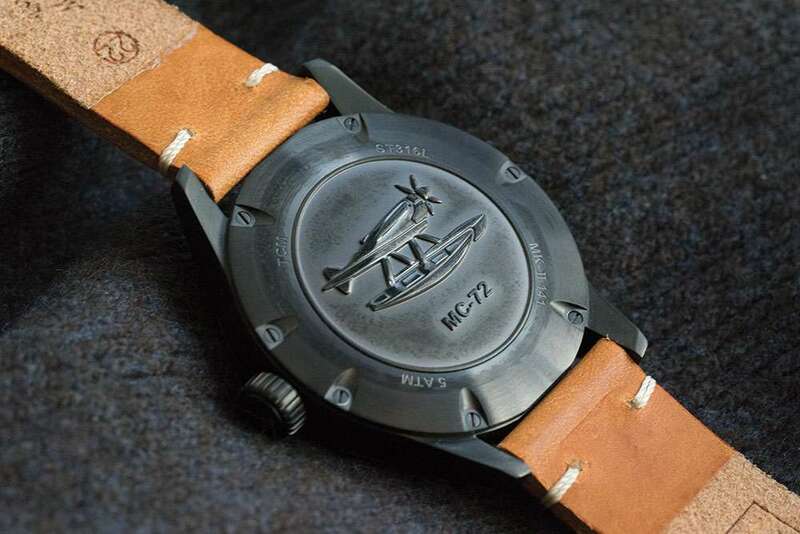 The caseback has a titanium medallion with an engraving of the Macchi MC72 seaplane. The case is 44 mm in diameter, water resistance 5 atm/50 metres. Inside there is an ETA 2824 automatic movement. Limited edition of 100 pieces, numbered on caseback, price €1,980. More information from the Terra Cielo Mare website. Great Type B watches selection, thanks!